Hi y’all! I’m treating myself and my friends to monthly reflections, this year. These are meant to help me keep track and make sense of things. I am one of those creative types that flourish in clutter and chaos. I’m also the first to admit that my way is no way to keep any sort of order. 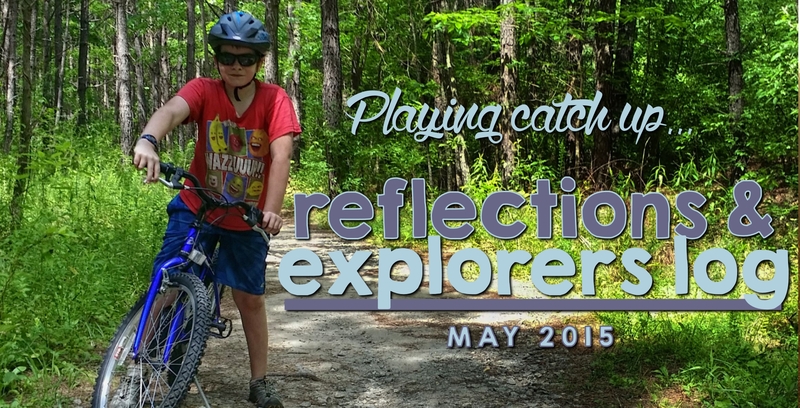 Our May reflection is courtesy of the Georgia Go Fish Education Center. May 11: Bought the most expensive pair of pants I’ve ever owned at REI. They cost $70 and they are army green! Insanity. May 29: My oldest son turned 13, making me the mom of a teenager!